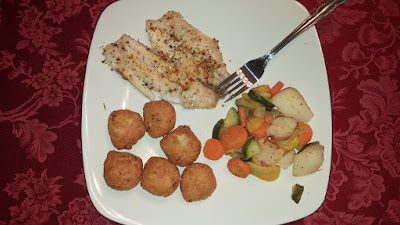 A Tilapia Dinner with Hush Puppies and Mediterranean blend vegetables. I love fish. It's by no means my go-to meat for a dinner but generally if you offer me fish for dinner I won't turn you down. There are so many wonderful varieties of fish to go with a wide array of cooking styles and utilization that there's no wonder you can find it everywhere. Sushi, Breaded whitefish, smoked salmon, Cajun crappie fillets, tuna casserole - the list goes on and on. The only exception to my love of fish so far is Swai... haven't quite wrapped my head around cooking that one without it tasting like rubber yet but I'm sure there is a way. However there seems to be a bit of mystery and confusion when it comes to this delectable food item. Most times that conversation leads to me cooking fish for my family I am given the response of "I don't know how to cook fish" as if it's some sort of super complex or difficult process that they have no knowledge of. This fear/feeling that cooking fish is complicated just simply isn't true. 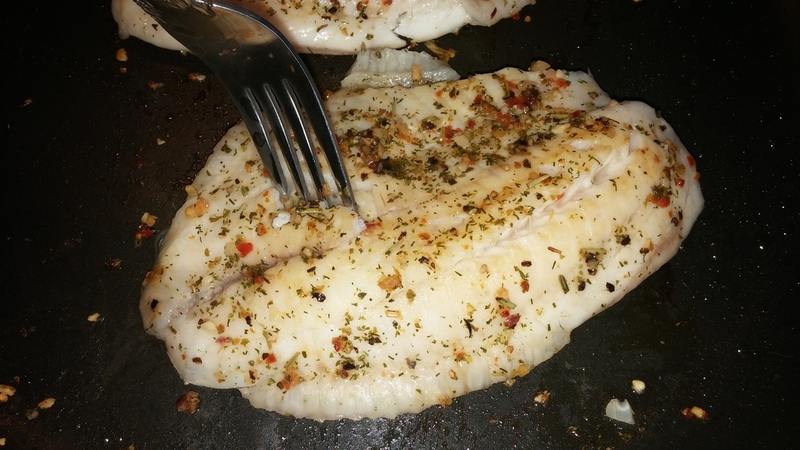 If you know how to prepare almost anything in a skillet you know how to prepare fish. It's only as difficult as you decide to make it. 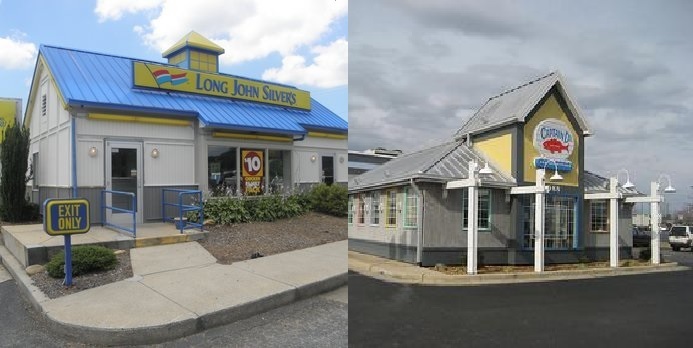 It would be a crying shame if your only exposure to fish comes from one of these establishments. Not that there's anything wrong with these. They're good eats too! Since I try to live by the K.I.S.S. method (keep it simple stupid) then of course the fish I'm going to show you how to make is going to be incredibly simple. I tend to stick with tilapia as my fish of choice. Why tilapia? Tilapia fillets are generally large enough to suffice my appetite, it's a nice light fish that doesn't have a very strong "fishy" flavor to it. It's a fairly mild taste that takes on the flavors of seasonings you pair it with. 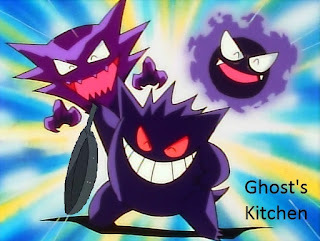 Gather Your Ingredients and Tools! 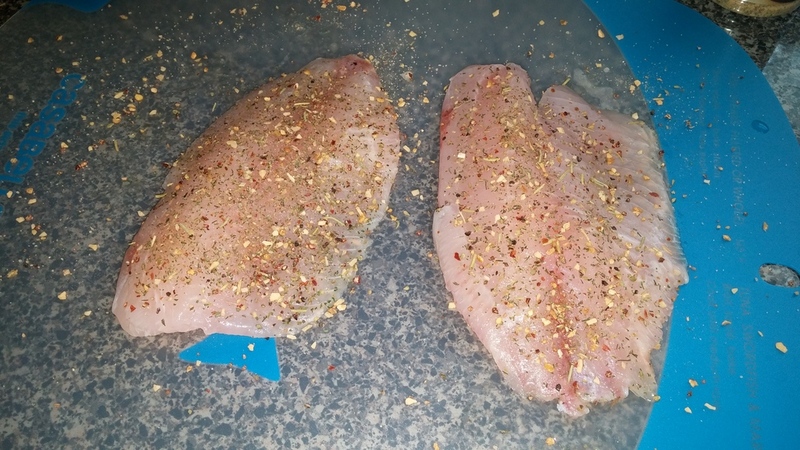 Generally tilapia fillets are bought frozen and individually wrapped. You can thaw your fish by placing them still in their wrapper in your fridge overnight. Alternatively you can partially fill your sink with lukewarm water and submerge the wrappers in the water for a few minutes. *Please Note* some people claim that thawing other meats such as chicken by using this water method can cause harm. I'm not sure if any of those claims are legitimate but I would play it safe and only use the water submersion for fish. Once your fish is thawed, remove from package and place on something you don't care to get dirty. I generally use my fish cutting board. Select the seasoning you would like to pair with your fish. I often use Weber brand Zesty Lemon because it not only has a lemon flavor that pairs with fish well but it has other spices that give you something quite excellent. Simply open your seasoning and start shaking it over the fish. Let a fair amount of it fall on the fish then gently pat the seasoning so that you ensure it's stuck to the fish. Flip fish over and do the same to the other side. The amount of seasoning you place on depends on your personal taste. I like a good amount of seasoning so the picture above is what I generally do. 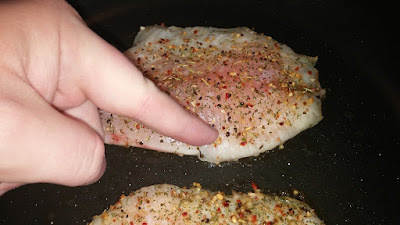 This is sometimes too much seasoning for my wife so her fillet gets less when I remember. 4. Get out your skillet, cooking spray, spatula/turner, and a fork. Each stove is slightly different and may need some adjustment but I generally set my fish at the 6 mark when cooking. NEVER put fish on high. When it comes to cooking a meal sometimes fast is not best. If you cook your fish on high heat then you will walk away with one of two end results. It will either be fish jerky so tough the dog wouldn't eat it, or you will have a burned top and bottom with a raw center which is an unholy abomination! Medium heat is where you want to go here. From my experience something that can absolutely ruin a dish is when you start to flip it over and over and over in the skillet. This may take some getting used to if you've always been flipping your food afraid that it will burn on one side. Set the fear aside (there's a reason we put it on medium heat) and just let it sit for awhile. Fish is especially dangerous to flip many times because as fish gets more done it starts to break apart and next thing you know you'll have shredded fish everywhere that no one will want to eat unless you turn it into fish tacos. 8. Flip the fish when it turns white 1/3rd to 1/2 of the way up. 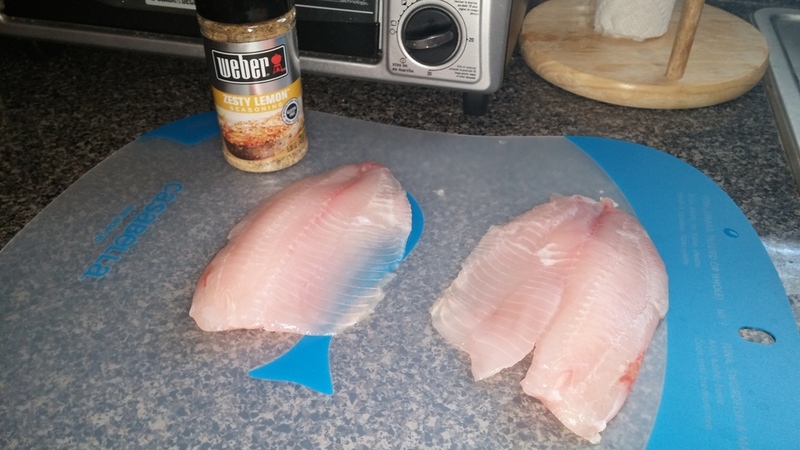 Raw tilapia is pink and clear. Cooked tilapia is white. 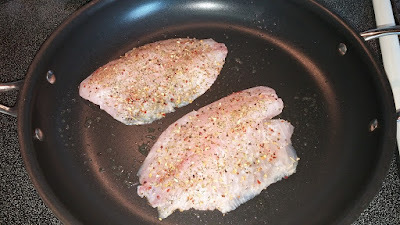 As your fish sits there in the skillet slowly more and more of it will turn white. Once the white reaches where my finger is pointing or a little bit more you can flip it over and let it sit for roughly the same amount of time on the other side. 9. Use your judgement till it's done. This may be the "scary part" for some people because I'm telling you to use your judgment instead of telling you what to do. I often find that once I've done my initial flip to cook to raw top it will sometimes require a couple extra flips but not many. Keep your fish on the skillet till it's fully cooked but not overdone. How will you know when it's done? The thick side will most likely split open as it has in the picture above on the left-hand side. Another easy way to tell if it's done or not is to finally use the fork I asked you to get earlier. You can simply insert the fork and slightly rotate it to one side. Properly cooked fish should separate almost effortlessly even in the thick portion. I tend to use this Green Giant Frozen Mediterranean Blend for my vegetable. It's a very good match with fish of any kind if you like squash. It's a simple 6 minute heat up in the microwave. 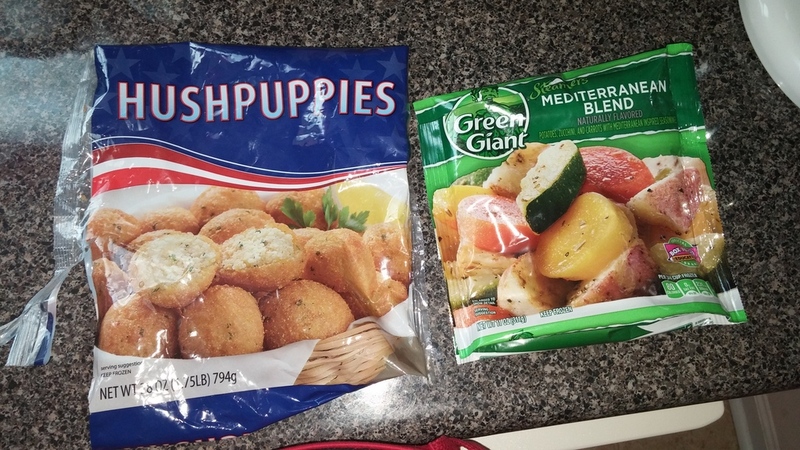 Of course you can't have fish without hush puppies. I buy this blue bag from Walmart because it has a very rich flavor. It asks for seven minutes in the oven then to flip the hush puppies over and bake for seven additional minutes. I never have a problem with them being too hot after the first seven minutes so I simply hold the baking pan with my mitt in one hand and flip them with my bare hand. How do you get these sides to come out around the same time as the fish? The Hush puppies take about 14 minutes or so to cook which is longer than the fish wheras the vegetables take around the same time. What I generally do is as follows. Once the oven is preheated to 350 I'll bake the hush puppies for 7 minutes. During this 7 minutes I'll get the fish seasoned and waiting to go into the skillet as well as place the vegetables in the microwave. At the end of my 7 minutes I'll remove the hush puppies, flip them over and place them back in the oven for another 7 minutes. During this 7 minutes I'll cook the fish and heat the vegetables. If the fish is taking a little longer just leave the vegetables in the microwave and lower the heat on the oven to the lowest it will go once the 7 minutes are over. Don't worry they'll be fine. That's it. Nothing incredibly complicated or difficult. Now you know at least one way to prepare fish if you didn't know before. The ONLY difficult part is making sure the sides and main dish come out at the same time but even that's not hard it just takes a little practice. If you don't get it right the first couple of times don't worry you will only get better with time. Hope this helped someone. I'll catch ya next time!